Ha Long has 1,969 islands which are called 980 islands. In the area of Ha Long Bay recognized by UNESCO as the natural wonder of the World, there are 775 islands. Almost visitor travel to Vietnam. They will choose Ha Long Bay as a top list Vietnam vacation sport to visit. 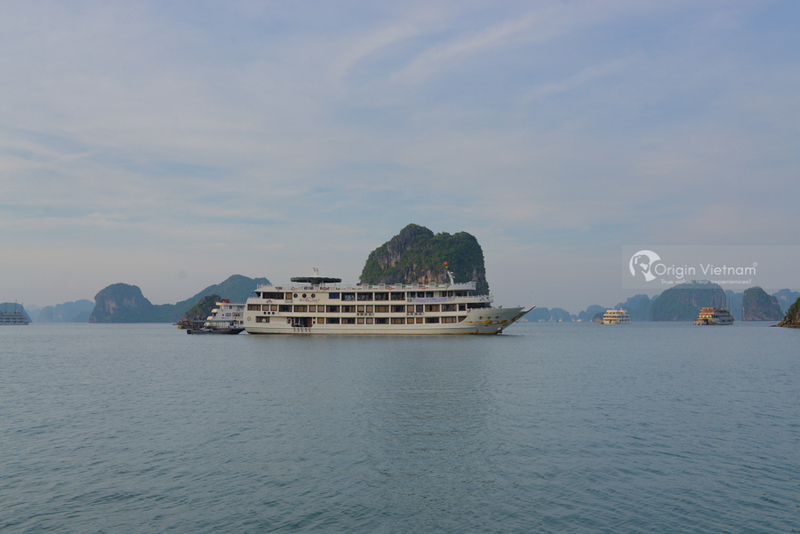 So how many days to visit Ha Long bay is enough? Follow Origin Vietnam guide. We will suggest how many days is the best to visit Halong Bay as below. Explore the caves: Such as Thien Cung, Trinh Nu cave and Drum cave, Tam Cung cave, Kim Quy cave, Sung sot cave, Dau wood cave, Bo Nau cave, Luon cave and Dong Tien lake. These caves available at different times: 4 hours, 6 hours or all day boat trip. Exploring the fishing villages: Ha Long Bay has many beautiful fishing villages. Like Ba Hang, Cua Van ... The usual activities of visitors in the fishing village is to learn fishermen life, try to be come a fishermen. Specially enjoy dishes and stay overnight at the fishing village. The time to explore the fishing village can last from half a day to 1 day or 1 night depending on the visitors. Visiting the islands: Halong has many beautiful islands such as Co To Island, Soi Sim Island, Quan Lan Island, Bo Hon Island, Ngoc Vung Island, Cai Chien Island, Dragon Eye Island. There are many places where you can go to see Similan Island, Dragon eyes Island, etc. You can choose islands suitable for your visit. It usually takes one day to visit the island. Experience the sea activities: There are long beaches, wide, smooth waves should Halong have many activities on the sea very attractive. Such as, kayaking, surfing water jets, scuba diving ... Often visitors spend half a day to 1 day for these games. 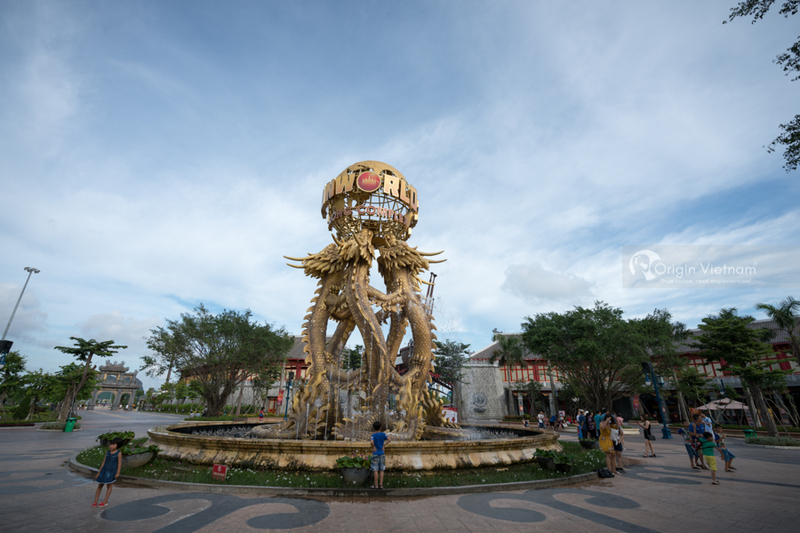 Have fun at the amusement parks, entertainment: Ha Long has Dragon Park theme park, the combination of fun atop Mountains Ba Deo, Typhoon Water Park. A lot of exciting games, strong feelings for visitors play. Zen Garden on top of Ba Deo is also very interesting. Thanks to these amusement parks, Ha Long tourism attracts many tourists. At each play, to play more games, visitors need at least one day. How many days are perfect for Halong Tours from Hanoi? With the basic schedule, visitors depending on their needs, budget and time to shape the number of days used to visit Ha Long. The fact is that some visitors have limited time, only go to Halong 1 day from Hanoi. But also reap many beautiful memories and enjoyable experience with 4 or 6 hours boat trip in Halong Bay. However, to enjoy the true flavor of Ha Long Bay and explore many scenery here, visitors should spend 3 days 2 nights in Ha Long. With the program 1 night stay in the hotel for visiting Halong night market and other night spend on cruise. 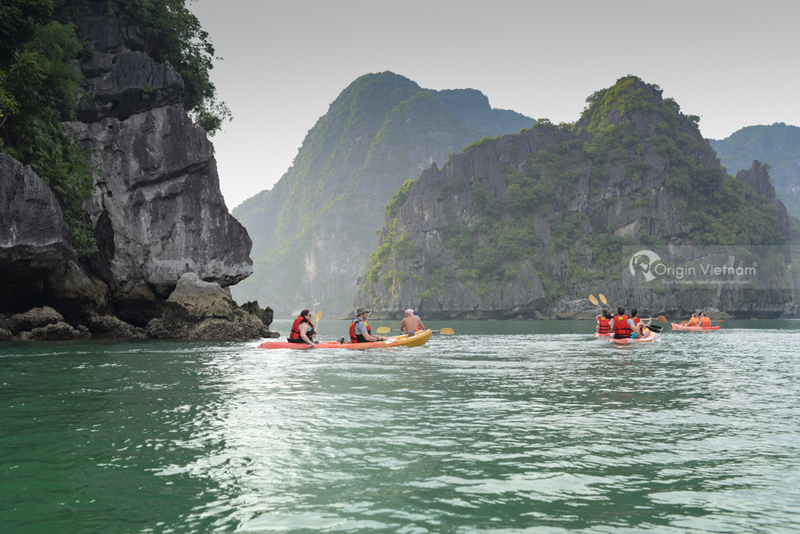 That you have chance to do more activities in Halong Bay also discover the untouched area of this bay by kayak. With these days, visitors should thoroughly understand the time to travel not to fall in the rain, storm period. The question is "When is the best time to go to Halong Bay?" June, 7 is the time Ha Long or rain storm, so visitors should go in August, or September At this time the climate was milder, no too hot and still suitable for swimming. Winter time (November, December) is not suitable for bathing. But this time around Ha Long is not too crowded and the prices of services are reduced, so resort, island exploration and cave are still suitable. Hope that with some information above, tourists can determine their own how many days are the best for you to visit Halong Bay. Wish you have a relaxing and comfortable holiday in Halong Bay.